Active Constituents: Volatile Oil containing zingiberene, zingiberole, phellandrene, cineole, citral and borneol. 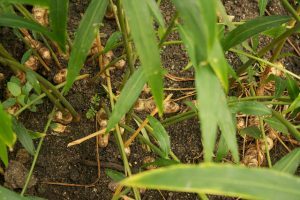 It also has starch, mucilage and resin with the pungent substances gingerol and shogoal. Contraindications: Should not be used regularly by people suffering with acute bowel disorder and also people suffering skin disease. Excessive use should be avoided during pregnancy. Excessive doses may cause irritation of the mucous membranes of the stomach and it can promote menstruation.